Outside of Vatican City's 1929 set, cases for the coins of Pope Pius XI are extremely rare. 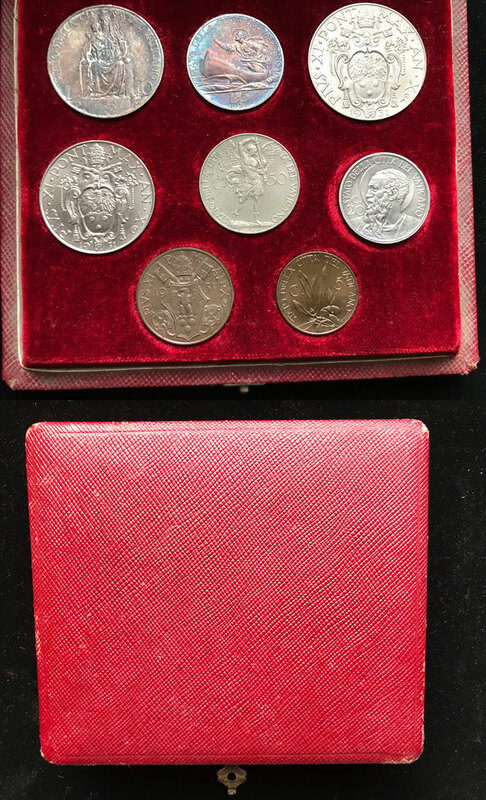 This is a 1931 set of eight coins in contemporary plush case, probably unofficial. All coins are uncirculated, the silver coins have nice iridescence on the reverse, though many of the obverses are dulled from long-term case storage. A rare find!